Ever since our last Mexican feast, my cousin Catherine (AKA "Cuz") and I have been trying to organise another one. That one was two and a half years ago, and even a less-than-inspiring dinner at the terribly overrated Mamasita in between hadn't kicked us into gear. Oops! But finally, last month, everything fell into place, and we managed to arrange lunch for one afternoon. Well, almost everything. Sarah: Are we all free this Sunday? Can we finally do our Mexican feast? Cuz: I think so! But wait a minute, (my Mexican boyfriend) Oscar won't be able to come. Sarah: Wait, can we really have a Mexican feast without any Mexicans? Cuz: Why not? The rest of Melbourne is doing it! Woah, feel the burn, Melbourne dining scene! Hehehe! With quite a bit to cook, we split up the shopping and cooking duties between our five attendees. I make no particular claims to authenticity here, we just chose a variety of dishes that we liked the sound of and that we thought would work well together. Most of our recipes were googled or improvised, and the two recipes that I did follow came from two non-Mexican authors: David Lebovitz and Martha Stewart. The night before I baked a tres leches cake (Martha recipe, available here) - a simple sponge cake soaked in a mixture of condensed, evaporated and regular milks. 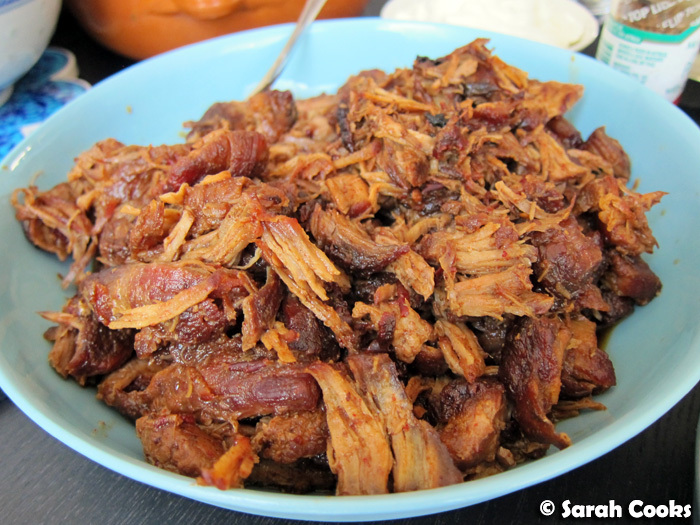 I also prepared slow-cooked pork carnitas, using David Lebovitz' recipe. I learned the hard way these should not be spelled "carnitos" unless you want to refer to a part of the male anatomy! 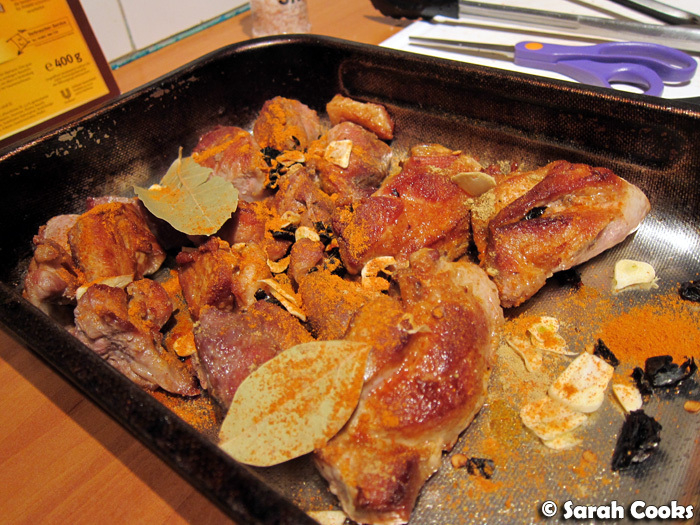 The pieces of pork shoulder need to be fried, then cooked in the oven with a little water and a lot of spices. Frying the pieces of pork resulted in a bit of a splattery, oily mess, but this was easily forgotten once the tray was stashed safely in the oven. Carnitas, before going in the oven. I love the ochre colours of the spices! 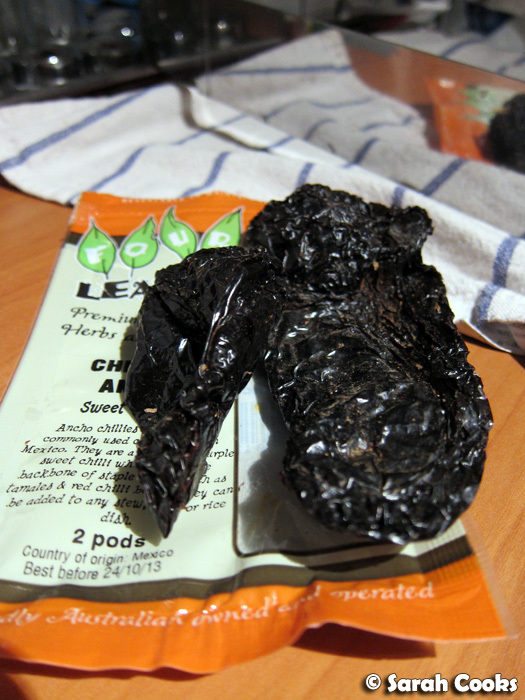 I had managed to find whole ancho chillies at Leo's Supermarket, which I used as a substitute for the dried ancho chilli powder David includes in his recipe - I'd never tried them before, but I love their sweet aroma and their intense black colour! Cuz arrived around midday the next day, and we started preparing the remaining dishes. 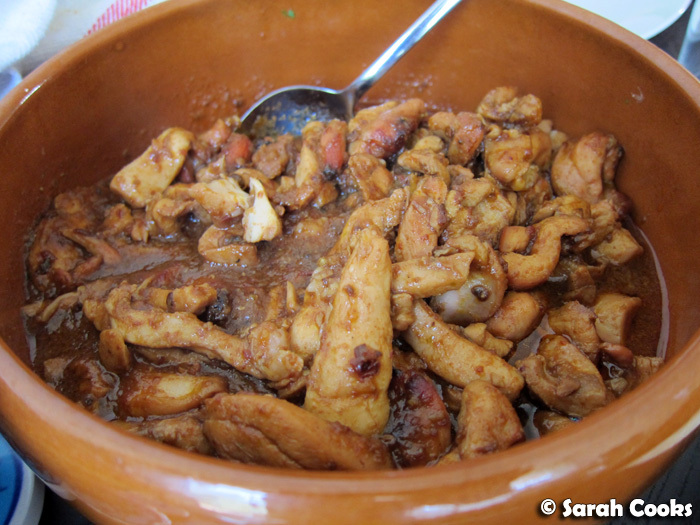 Firstly, some chipotle chicken. I cut some chicken thighs into strips, and slathered them Cuz' improvised marinade: chipotle peppers in adobo sauce, Worcestershire sauce, barbecue sauce, an onion and honey. We placed the soupy, moist mixture in the oven, where they took about an hour at 180C to cook through. (The carnitas were reheated on the shelf below the chicken). 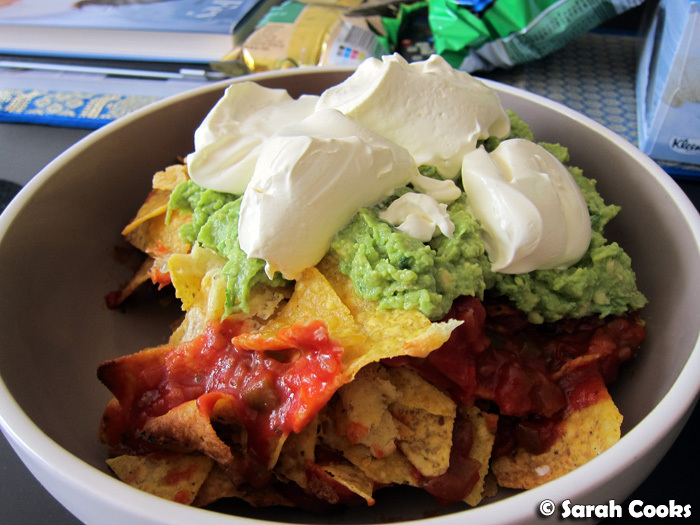 My friend Kristine made some classic Tex-Mex nachos for us all to nibble on while lunch was being prepared: corn chips, cheese, hot salsa, sour cream, and fresh guacamole that Cuz had prepared seconds earlier. My friend Alae was in charge of cocktails. Mojitos, whilst not Mexican themselves, were an acceptable south-of-the-border substitute for margaritas when we realised no-one had any triple sec. 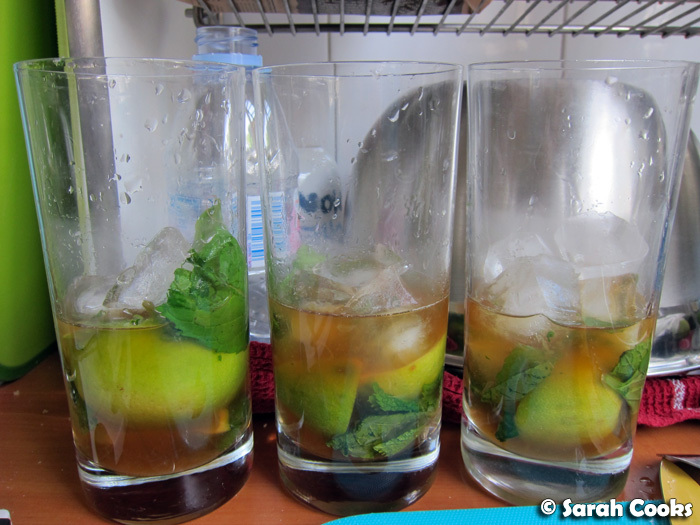 Mojitos! (Before soda water was added). 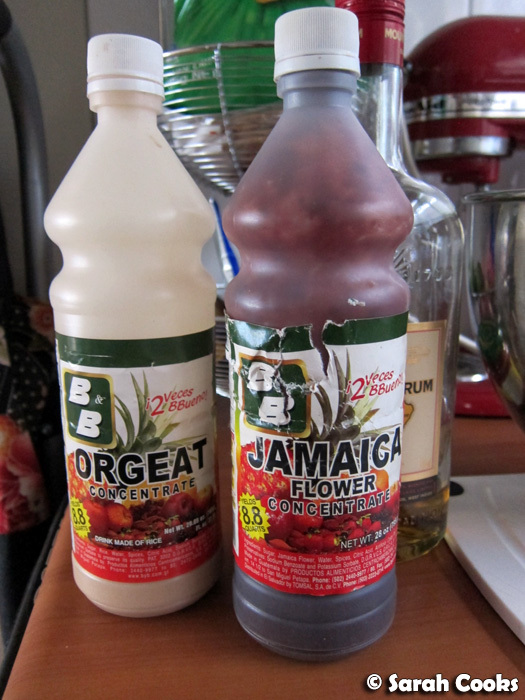 Cuz also brought these fab Mexican drinks, which, in the hustle and bustle of the day, we didn't get around to drinking. Oh well, next time! There were just a couple more side dishes to prepare, and then we could eat! Yay! 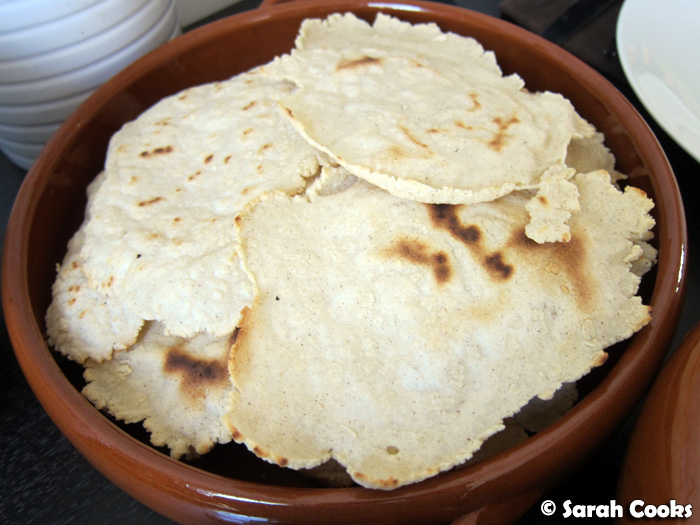 Our tortillas were rather irregularly shaped, and some were more like large crackers than soft flatbreads, but I still thought they were pretty good for a first go! (The recipe had said "add water until the dough looks right", I clearly had no idea what "looks right" meant exactly). Whilst not perfect, they had that wonderful corny aroma from the masa flour. Cuz gave us a couple of kilos of the flour to keep, so I'll have lots of opportunity to practise making tortillas! The spicy carnitas tasted fabulous, although I found some of the pieces to be a bit hard - I think I may have overcooked them a little, so next time I'll use more liquid and shorten the cooking time. Much easier to make than the carnitas, and dare I say it, even tastier, was Cuz' chipotle chicken, with its flavourful, soupy gravy and tender meat. 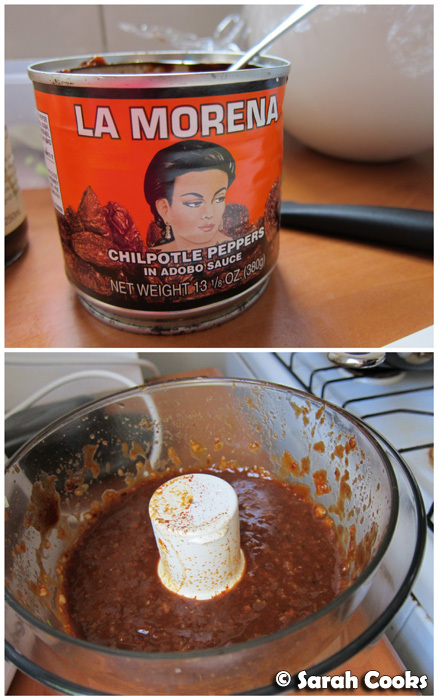 It was slightly sweet from the barbecue and Worcestershire sauces, with a background of heat from the chipotle chillies. I'm definitely making this one again! Hot tip: stir through some cream or sour cream at the end for a smoother taste. Cuz had prepared the frijoles negros in advance, and we just reheated them in the microwave before we ate. A very loose recipe: soak black beans in water overnight, then simmer for a few hours in a mixture of tomato paste, onion, coriander (seed, leaf and root), cumin, a bay leaf, cinnamon, oregano, orange rind, orange juice, stock and any roast chicken fat or carcass that you might have on hand. 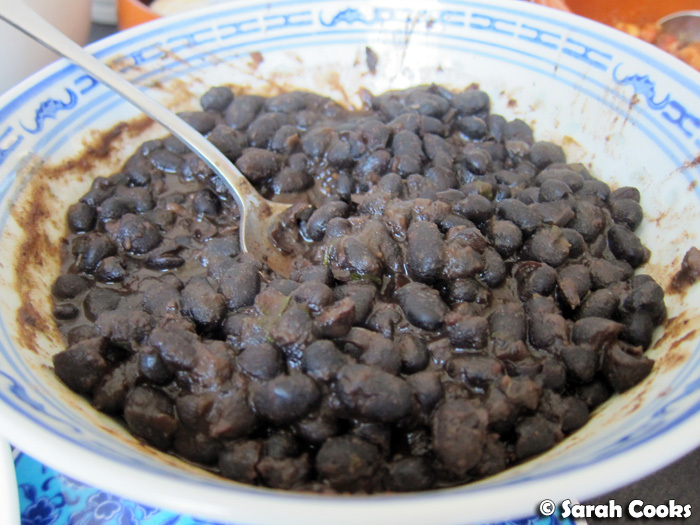 It's so nutritious and filling, and I can definitely understand why versions of frijoles negros are a staple across Latin America. 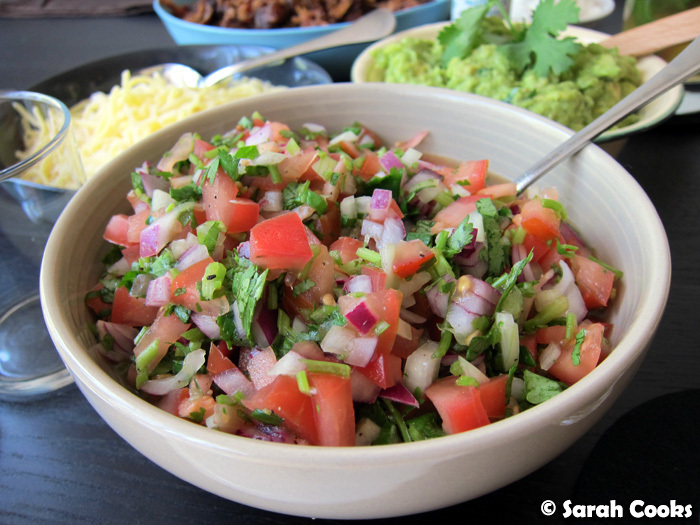 A bowl of pico de gallo provided a welcome sharp contrast to all the heavy proteins. It's a mixture of tomatoes, red onions and coriander, all finely chopped, and dressed generously with lime juice, salt, pepper and some olive oil. I adore this flavour combination! 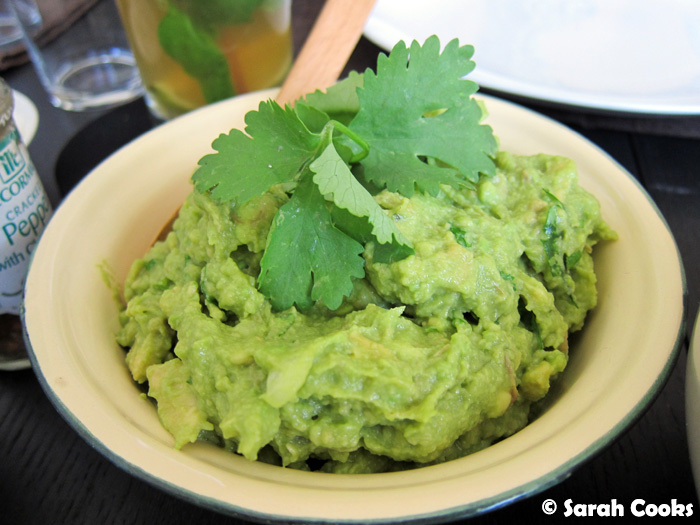 For me, a Mexican feast isn't complete without guacamole - no tomatoes please, just ripe avocados, finely chopped onions, coriander, salt, pepper and a big squeeze of lime juice. 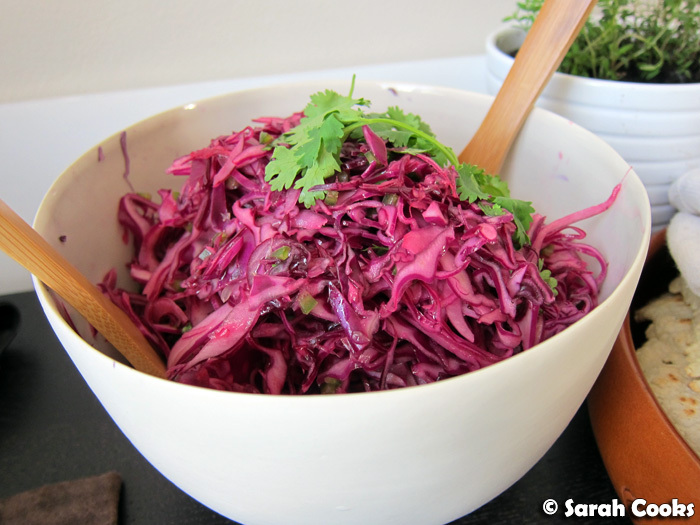 I also whipped up a vaguely Mexican-inspired cabbage salad - a quarter of a red cabbage and half a red onion, finely shredded in the processor, with fresh coriander, a finely chopped jalapeño, a drizzle of olive oil and the juice of a whole lime tossed through. Very refreshing, and I thought it was so cool that the cabbage and onion pieces immediately softened and turned a blushing pink upon contact with the lime juice. Although there was a lot of food, and we stuffed ourselves silly, somehow by late afternoon (perhaps aided by a few mojitos! 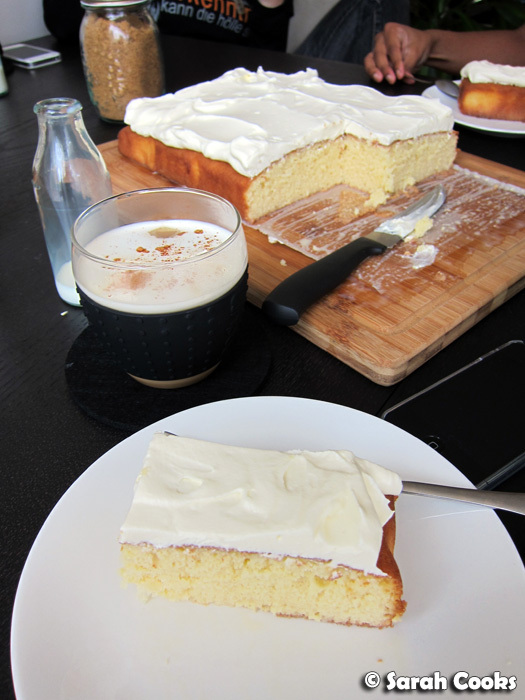 ), we were ready for dessert: the tres leches cake, served with Mexican coffee. And by "Mexican Coffee", I simply mean plain coffee topped with a little whipped cream and a dusting of cinnamon powder. I'd never made tres leches cake before, and I was worried that a plain sponge cake, enriched with condensed milk, would either be too sweet or too soggy, but this wasn't the case. It was absolutely gorgeous, very moist and light, with an almost puddingy texture. My friend Kristine described it as being like suji cake (Nyonya semolina cake), which should be more than enough incentive to get baking! As far as I'm aware, whipped cream is not a traditional topping, but it made the whole cake look very pretty, and the bland fattiness of the cream was a welcome foil to the cake. 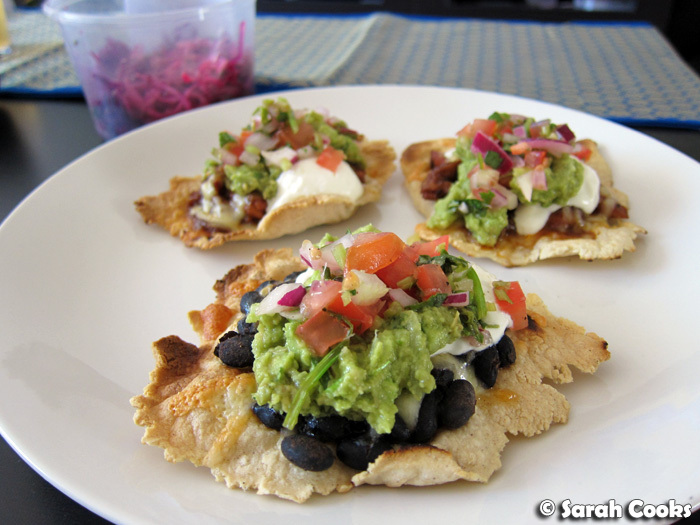 The next day I made some fab tostadas with the leftovers - tortillas with chipotle chicken or beans, topped with cheese and grilled until bubbling and crisp, and finished with sour cream, guacamole and pico de gallo. So delicious! And now, a few questions for my lovely readers! Does anyone have any tips for making tortillas? 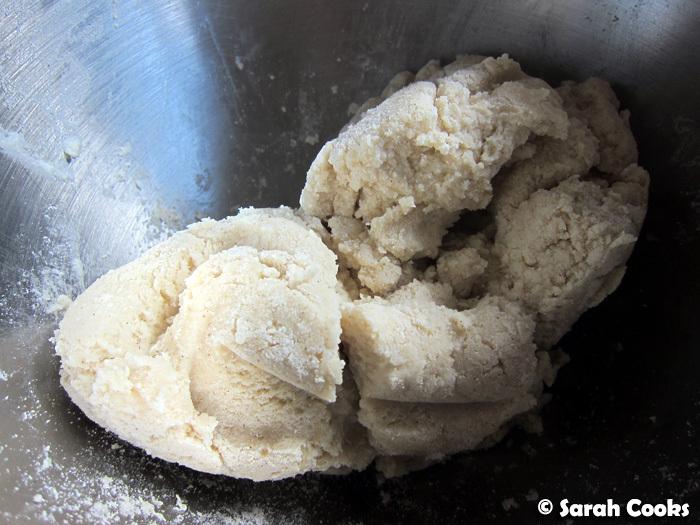 Any ideas on what to do with a whole lotta masa flour? (We're planning sopes for our next get together, which are apparently much easier to make and require no specialist equipment!) 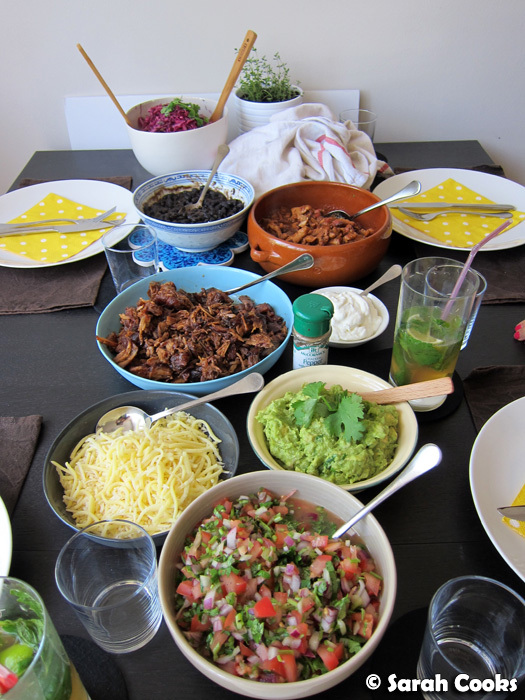 What are your favourite home-cooked Mexican dishes? Lorraine - I totally agree! 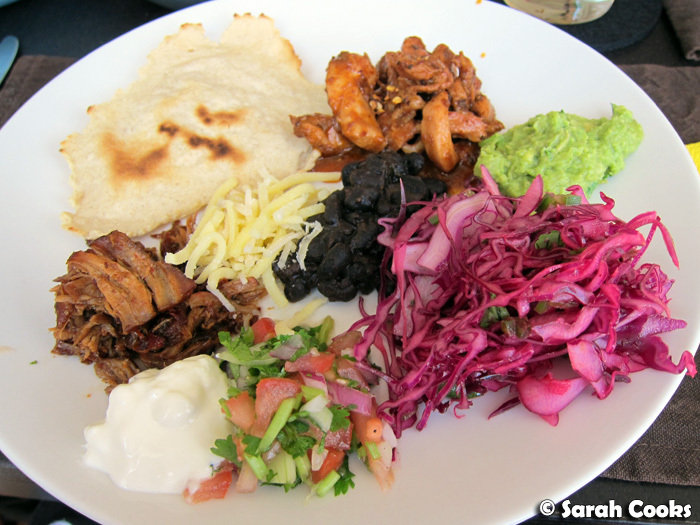 I love the convivial, sharing aspect of Mexican food!